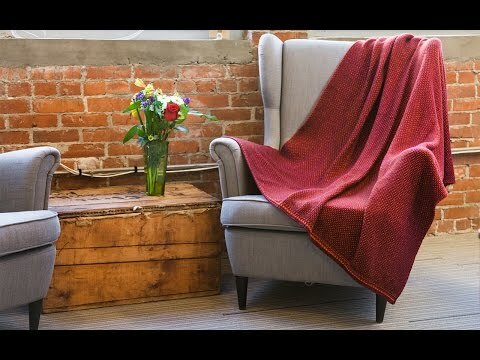 Extra-large, double-knit throw blankets are Made in USA from easy-care, recycled cotton fibers. The throws are beautiful and very well made! Very pleased! This was a gift for a friend of mine who loves all things patriotic. This was made so nice, she loved it! 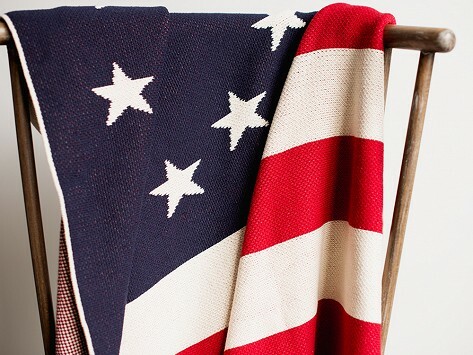 Farm2Fashion makes soft, knit blankets and throws with patriotic flair and a commitment to American manufacturing that we cannot help but admire. With a degree from the Fashion Institute of Technology and more than 25 years of experience in product development and knitwear design, the creator of Farm2Fashion, Laurie Perrone has a well-trained eye and a passion for sustainability. The Betsy Ross blanket pays homage to the design of the first American flag, while the throws feature woven backs for a timeless look to match any décor. Farm2Fashion prides itself on its low carbon footprint—all materials are sourced, spun, and stitched within 232 miles of the company headquarters in the foothills of the Catskill Mountains. The blanket and throws consist of 75% recycled cotton fabric scraps from apparel factories and 25% polyester that holds the cotton together to make the yarn stronger. What better way to bring a touch of Americana to the foot of a bed or your favorite couch than with a Farm2Fashion design made with quality and care in the USA.